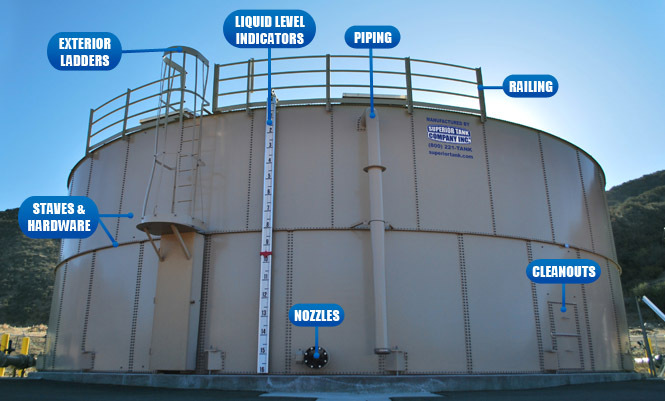 Five Critical Parts For Your Steel Storage Tank - Superior Tank Co., Inc.
Other structural members which can fail due to corrosion and steel loss are the roof rafters on welded steel tanks. Commonly, the top of welded tank roof rafters are inaccessible so they cannot be coated and protected against corrosion damage. Sometimes, the corrosion is difficult to see as it is located in hard to inspect areas. Superior Tank can manufacture and install replacement roof rafters and rafter hats for welded steel tanks and as well as bolted tanks if they are needed. Superior Tank can also craft new railings and ladders to upgrade your water or oil storage tanks to meet current safety regulations and allow your steel tanks to remain in service. Safety upgrades will also protect your employees from injury and prevent safety violations. Our exterior ladders are available with or without backguards and in various finishes and our railings are custom manufactured to fit the specific steel tank. All of the safety equipment we supply complies with the latest codes and government requirements for use with steel storage tanks. If replacement hardware or new gaskets are ever needed for your bolted tank, we stock a wide variety to fit various sizes. 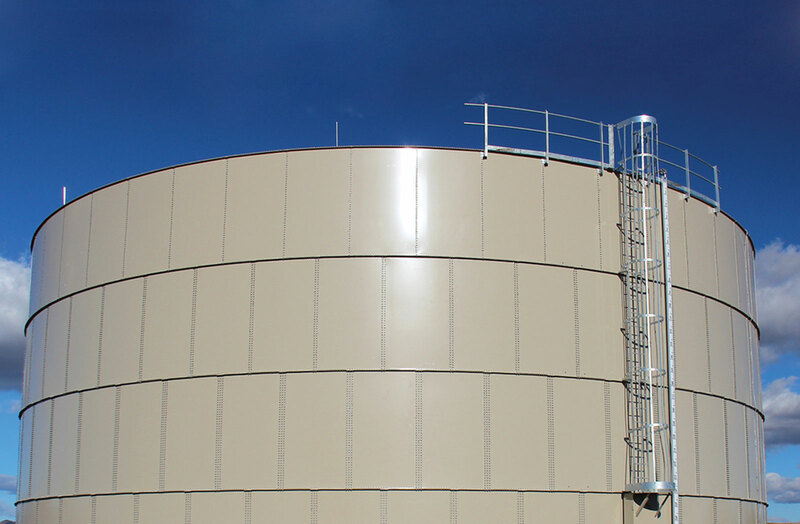 We offer EPDM gaskets for water storage applications as well as Buna-N and Viton gaskets for oil storage tanks. In addition, we can fabricate numerous ground storage tank appurtenances such as nozzles, overflow piping, roof vents, manways and roof hatches. Preserving your water and oil storage tank coating is important to minimizing corrosion, maximizing coating lifespan and keeping your steel tanks looking new. We offer touch up kits to patch any nicks or scrapes in your powder coated bolted steel tanks caused by thrown rocks or dropped tools after the bolted tank is installed. Various colors are available to match the original storage tank color.